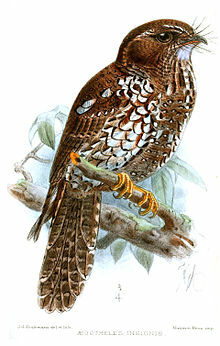 The Feline Owlet-nightjar (Aegotheles insignis) is a species of bird in the Aegothelidae family. It is found in Indonesia and Papua New Guinea. Its natural habitat is subtropical or tropical moistmontanes.